Corporate supporters of World Land Trust (WLT) have donated equipment essential for conservation protection and monitoring on reserves supported by WLT. 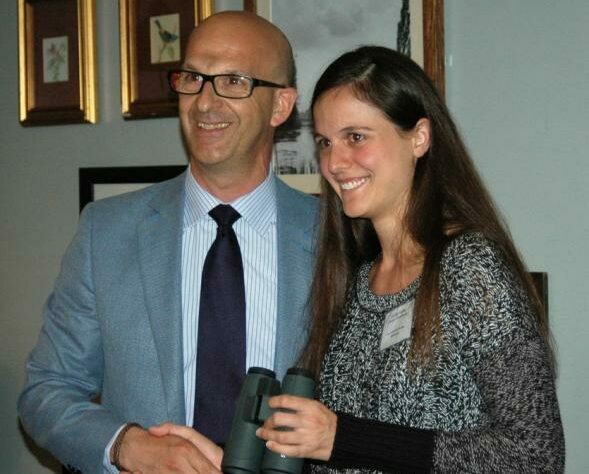 Swarovski Optik donated five pairs of high optical quality SLC binoculars during an evening reception for WLT overseas conservation partners in Kew, London, on 8 May 2014. Four sets were presented to four of the Trust’s project partners: Asociación Civil Provita in Venezuela, Grupo Ecológico Sierra Gorda in Mexico, Fundación Pro-Bosque in Ecuador and Asociación Ecológica de San Marcos de Ocotepeque in Honduras. The fifth set was donated to World Land Trust for staff to use on field trips. Another corporate supporter Super/Collider donated an Olympus PEN camera which John Burton presented to Edilberto Romero, Managing Director of Programme for Belize. Programme for Belize was WLT’s first project and during the reception Edilberto reported that wildlife in the reserve area has increased and is now seen much more frequently. We are looking forward to viewing exciting images of wildlife in the Rio Bravo Conservation Management Area. 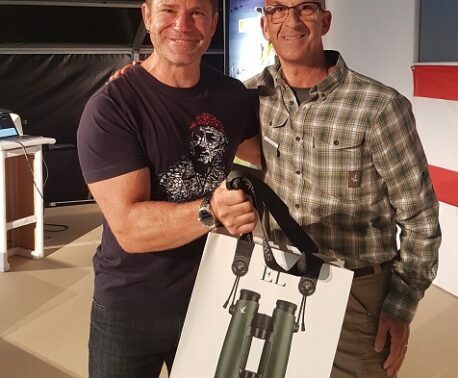 Staff of the British and Irish Association of Zoos and Aquariums (BIAZA) also presented a camera-trap to Roberto Pedraza of GESG. In 2014 BIAZA members are supporting BIAZA Buy an Acre, an initiative to raise funds for land purchase in Sierra Gorda, central Mexico, and the camera will be used to capture images of the wildlife of the area. Roberto has since confirmed that the camera is now in the field, and that he will soon have images to share with BIAZA members. The binoculars, camera and camera-traps will be used by Keepers of the Wild, wildlife rangers funded by WLT. 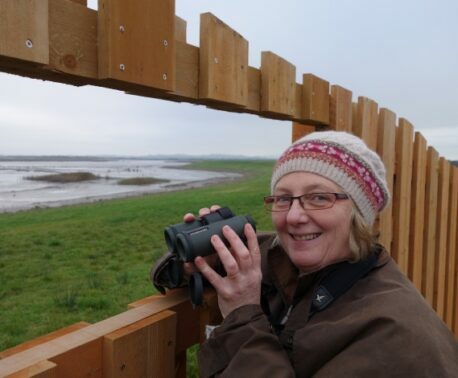 WLT founded the Keepers of the Wild programme in 2011 to help the Trust’s overseas conservation partners to better monitor and safeguard the habitat and wildlife in reserves created with funding from WLT.